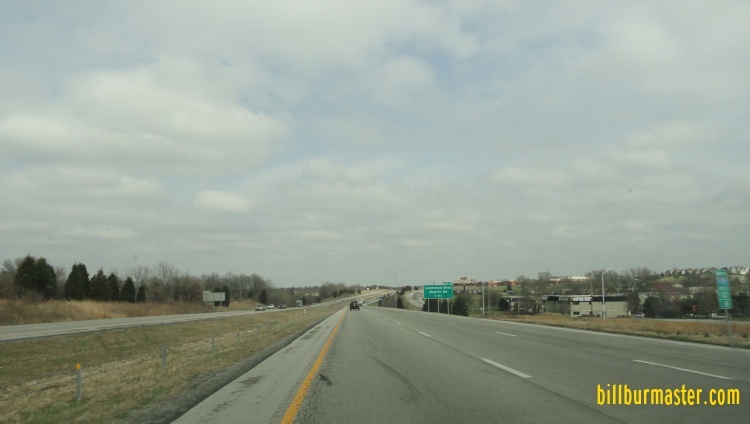 Interstate 470 is a north-south highway on the southeast side of the Kansas City Metro Area. 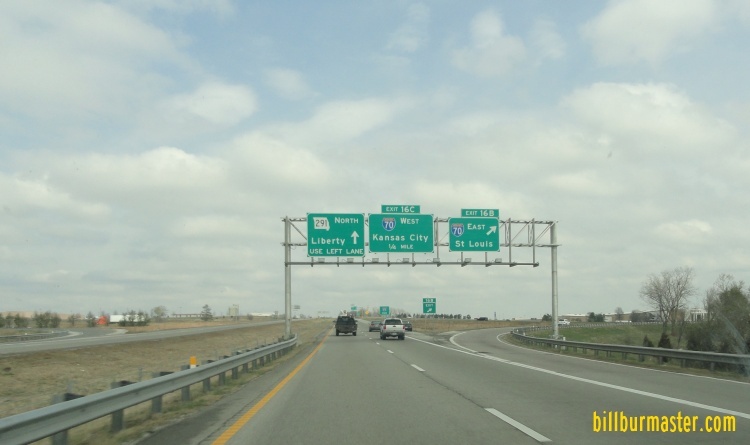 It runs mostly in Lee's Summit. 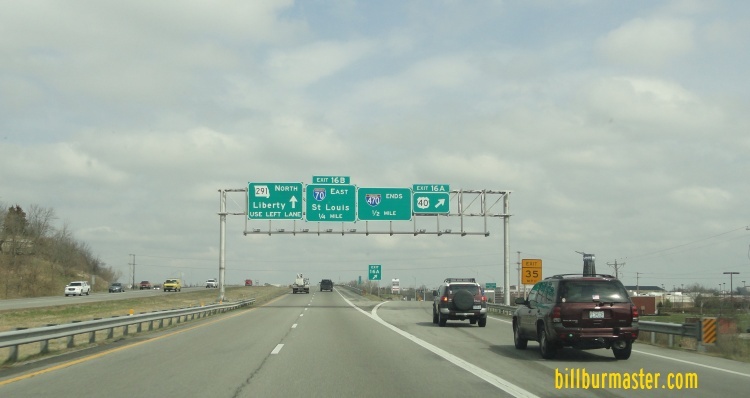 Most of Interstate 470 is multi-plexed with another highway. 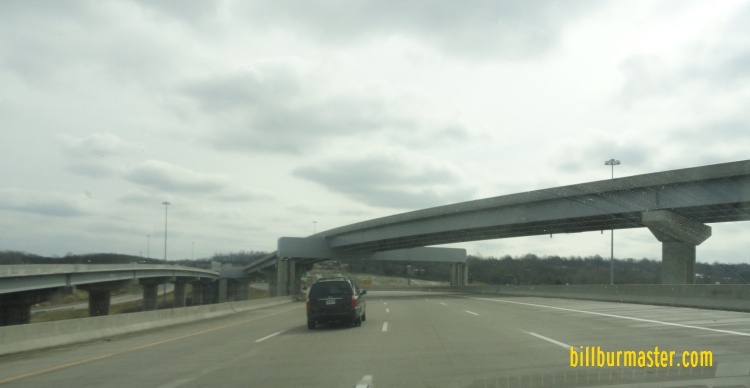 The only section that does not run with another highway is betweem M.P. 7 and M.P. 10. 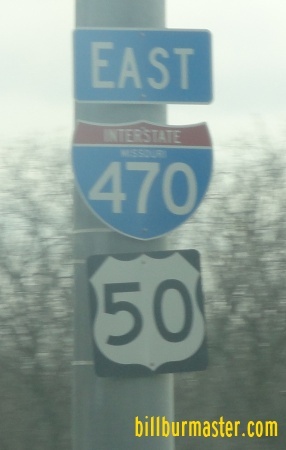 While in the State of Missouri, I-470 is multi-plexed. 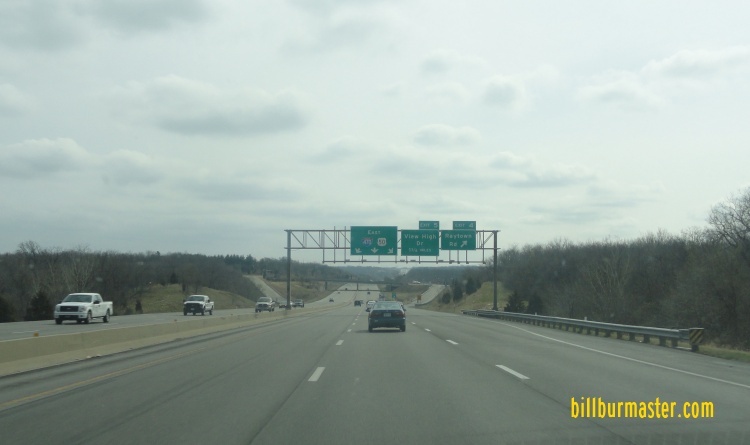 ...Missouri State Route 291, at Lee's Summit. ...U.S. Rt. 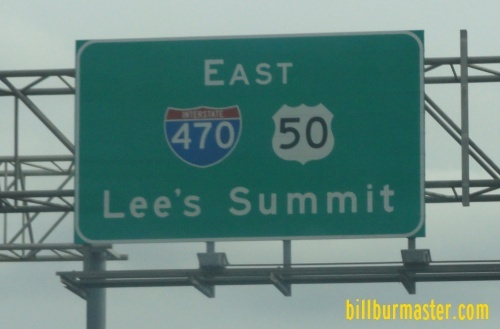 50, from Lee's Summity to Kansas City. 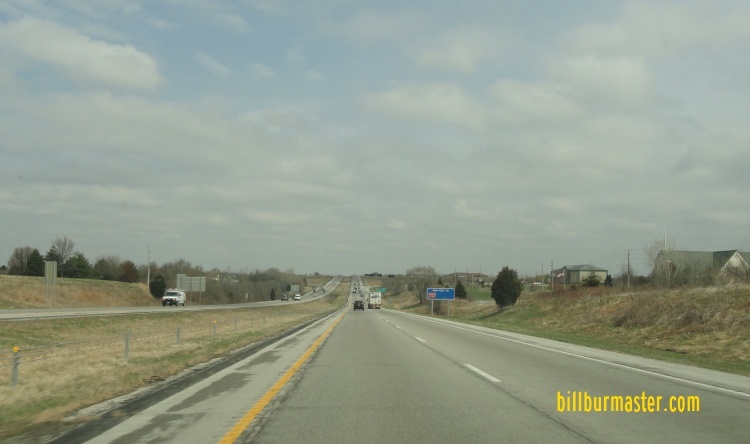 NB I-470/MO St Rt 291 one mile from I-70. 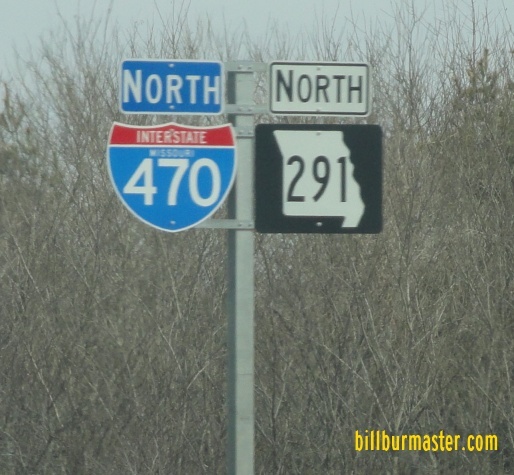 NB I-470/MO St Rt 291 near I-70. 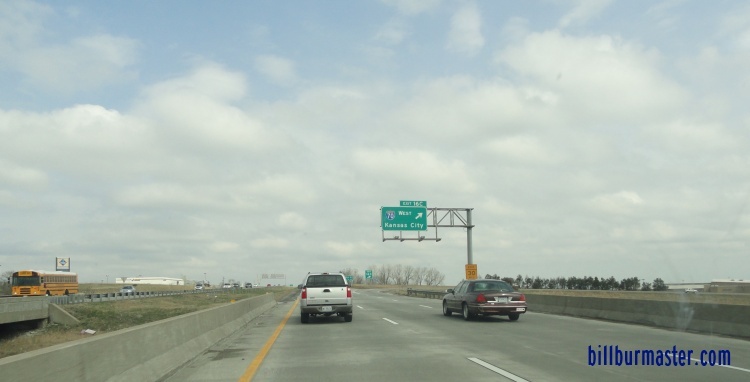 NB I-470/MO St Rt 291 at EB I-70. 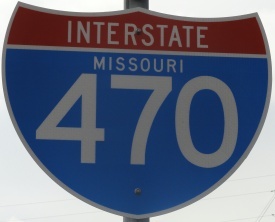 NB I-470/MO St Rt 291 at WB I-70. 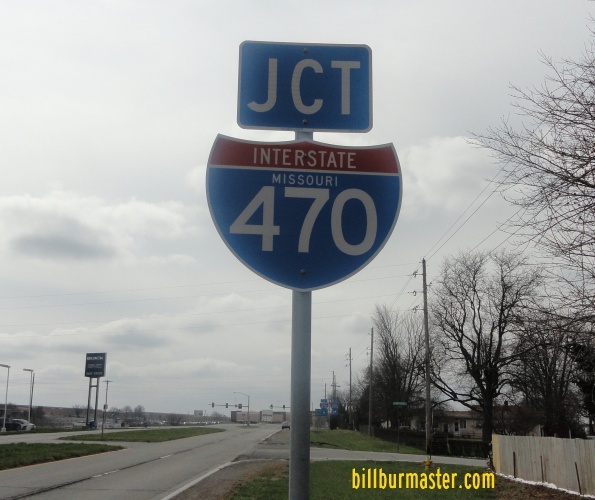 Info on the parent route of I-470. 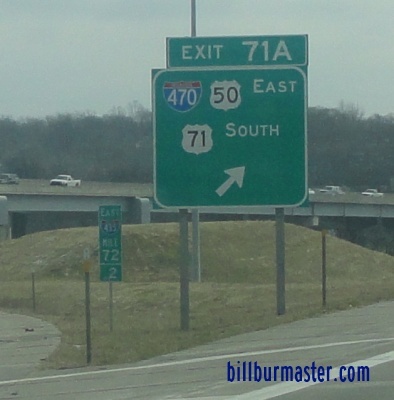 EB I-470/U.S. Rt. 50 at U.S. Rt. 71. 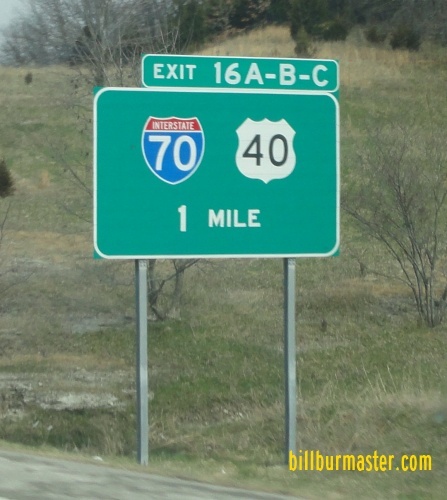 EB I-470/U.S. Rt. 50 in south Kansas City. 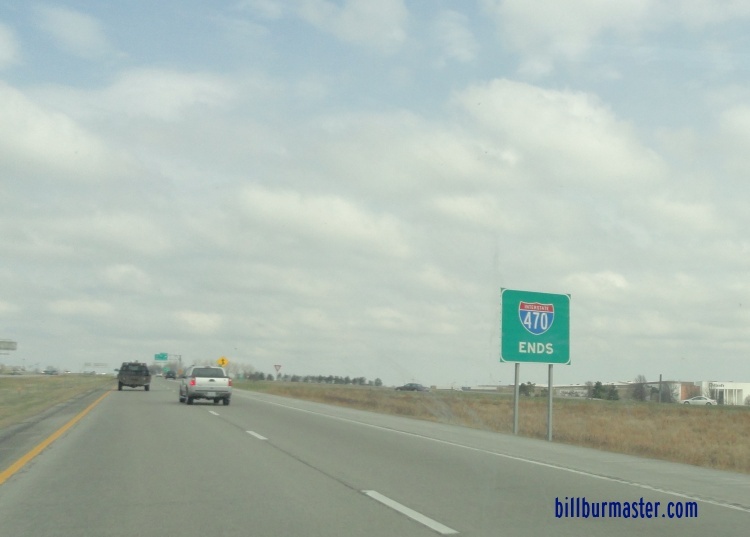 EB I-470/U.S. Rt. 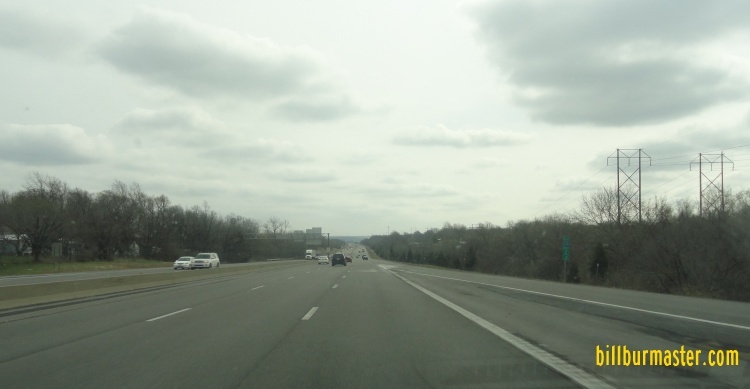 50 near Raytown Rd. 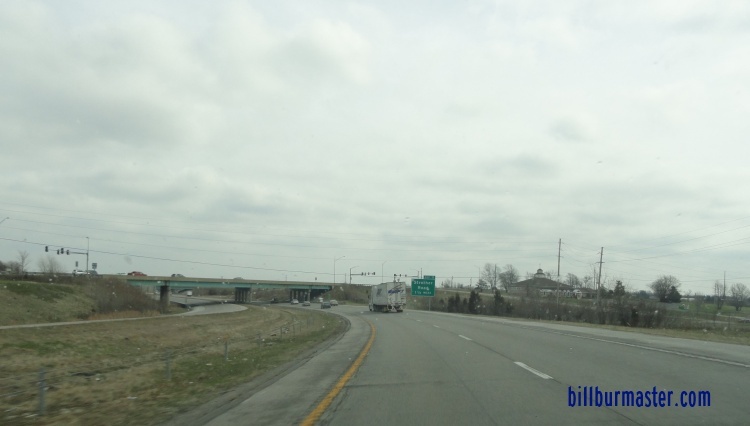 A BGS on WB MO St Rt 350. 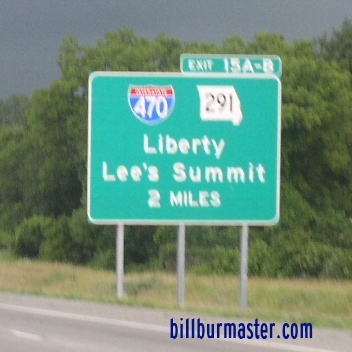 A junction marker in Lee's Summit. A BGS in Lee's Summit. 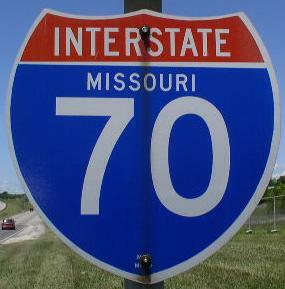 NB I-470 near Colbern Rd. NB I-470/MO St Rt 291 south of Lakewood. 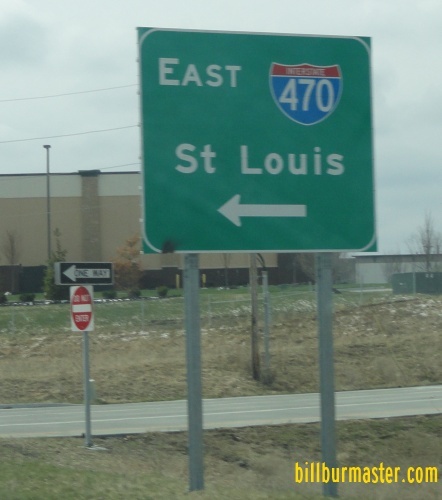 NB I-470/MO St Rt 291 north of Lakewood.